From an early age, Michael showed an intellect and curiosity that would become a driving force in his life. Born in Paterson NJ, his family moved to the Jersey Shore when Michael was 8. The middle child of five, Michael questioned many things in life and developed an inquisitive mind that sought a deeper understanding of the world in which he lived. Upon graduating high school, he began a long and distinguished career in the food service industry rising from his first job as a dishwasher to managing and owning restaurants in both FLA and NJ. Michael's restaurant career was marked by great innovation and recognition in the creation and operation of fine dining establishments with a flair. His interest in things of a spiritual and metaphysical nature began in the early 1970's when he lived in Florida. In 1984, his sister Debra, herself a well-known numerologist, introduced him to the science of numerology. Debra gave Michael information during a reading about a particular incident that showed up in his chart, which would occur during a very specific time period in his life. The situation she spoke of actually took place a few months later and with that, Michael knew Numerology was something that had a great deal of validity. It was a turning point in his life as Numerology captured his imagination and curiosity, moving him forward to what would become a lifelong passion. The use of numbers in understanding the human condition held great appeal to him as it augmented his deep interest in mathematics. Throughout the years, Michael has honed his skills and insights through continuous study. Although he remained in the restaurant business, his study of this new subject became a part of his life. A natural entrepreneur, Michael was guided toward the direction of metaphysics and spirituality where he began his practice as a Numerologist, a path on which he finds himself today. Throughout the various changes in his career, Michael’s creativity and vision has always been his hallmark, frequently being recognized for his ground-breaking technique and ideas. Living in CT in the early 90s, Michael truly began his studies and work with Numerology and it was definitely at this time that he realized that he had found his calling. After moving back to NJ in the late 90s, Michael and a friend started a business making aromatherapy products and herbal pillows. It was also around this time that he wrote and self-published his first book, 911 for the Soul...411 for the Mind (a collection of thoughts, wisdom and meditations). This business provided Michael an opportunity to travel the country selling his book and other products while offering lectures on Numerology at various expos and venues. While Numerology was Michael's passion, it was a 'second job' until 2010 when life placed him in a situation in which he could devote his energy to Numerology on a full-time basis. 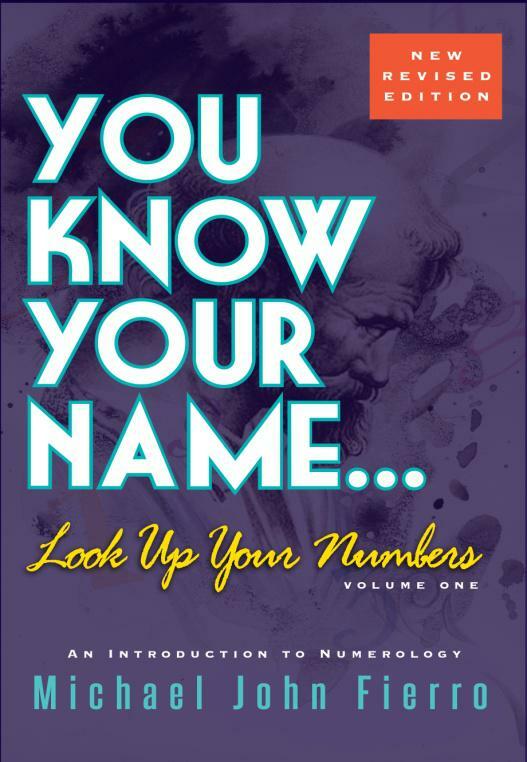 Although Michael began writing his Numerology book in 1999, it wasn't until 2009 that he completed it and, it was in 2010 that he finally released his long-awaited book, YOU KNOW YOUR NAME...LOOK UP YOUR NUMBERS (an introduction to Numerology). 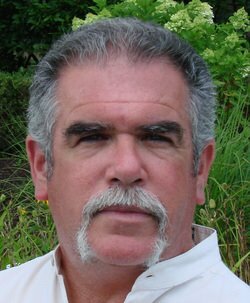 For almost 30 years, Michael John Fierro has been studying and applying numerology. Over the years, Michael has counseled thousands of clients through private sessions, and he is a favorite for his lectures at libraries, bookstores, and other venues. His live radio broadcasts and television appearances of on-air readings make him very much in demand as a teacher and practitioner of Numerology. As a frequent guest on local radio stations and as a lecturer, Michael has spoken on the subject with a passion and zeal that has made him an authority in the genre. He is known for the honest, direct and forthright approach to his work and regularly strives to fulfill his motto “Assisting personal empowerment through understanding, acceptance and responsibility”. Often Michael will receive a phone call or an email from a client—sometimes months after their reading—to thank him for his insight. It is at these times that he realizes the power of the information that he shares and the profound impact that it has on the people who come to him for counsel. Numerology, like other metaphysical disciplines is just beginning to be a part of our lexicon for spiritual growth, self-awareness and understanding. Michael’s goal is to bring this science to the mainstream in much the way that astrology has been accepted. His intent is to do so while having the work maintain its integrity. Properly used, numerology can be an invaluable tool in the business world, education, and personal development. Currently, Michael is a regular contributor to the Hey Z Media Magazine and is at work on Volume II of YOU KNOW YOUR NAME. He can be contacted through the information at the bottom of the page and can also be found on Facebook at Michael John Fierro-Numerologist and his book's page, You Know Your Name...Look Up Your Numbers. He is available for private sessions, parties, lectures and classes as well as media appearances. At the present time, he lives at the Jersey Shore with his Jack Russell terrier, Shadow. Article August 2013 George Zimmerman: Who Is He? Article January 2018 2017 2018 – An 11 /2 Universal Year – Lesson Taught/Lessons Learned?